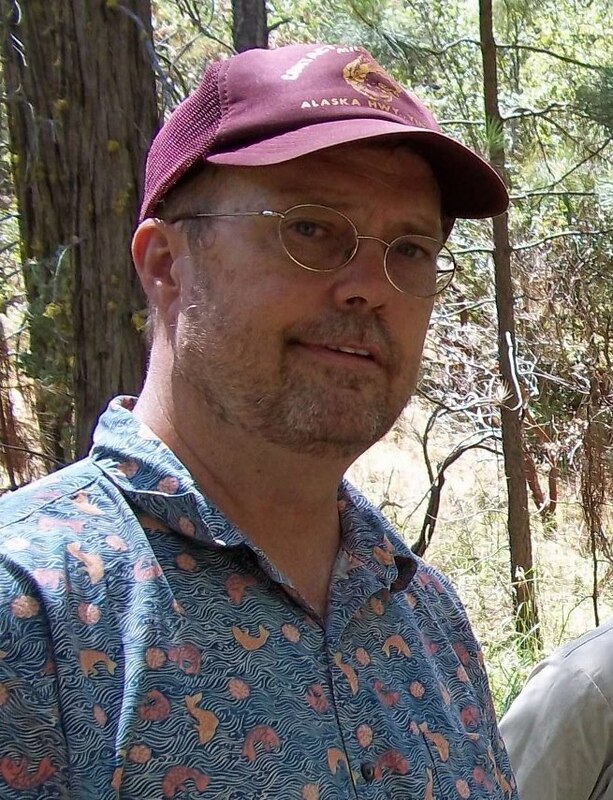 I’m Jared Dahl Aldern, Ph.D., a Prescott College faculty member based in Fresno, California. I also coordinate the Lessons of Our California Land curriculum program under contract with the Indian Land Tenure Foundation and participate in Stanford University’s Comparative Wests Project and the Indigenous Fire Ecology Collaborative research group. I call this blog Firelighter because I see an educator’s task as one of lighting a (metaphorical) fire for learners and because of my research interests and participation in Indigenous people’s cultural applications of fire to the land. I believe these two kinds of fire are related; in both cases, fire is offered as a gift, a respectful tribute that sustains relationships and rejuvenates spirit. I grew up in South Dakota, then spent five years in upstate New York, and now the last thirty-two years in California. Wherever I’ve lived, I’ve wanted to learn as much as I can about the local history of the place, and in North America that means learning some Native American history. History is intertwined with language, land, water, and culture, and I have had the privilege — especially here in California — to have collaborated with members of various Indigenous communities and to have learned something about the histories, languages, lands, waters, and cultures of their communities — learned just enough to be dangerous, I suppose. In any case, I am grateful for the knowledge and other gifts I have received from Indigenous people, and my engagement in eco-cultural restoration projects and in American Indian education constitute part of my attempt to reciprocate those gifts. During my educational career, I have taught in elementary, middle, and high school classrooms, developed community- based curriculum for several K-12 schools, directed professional development programs for the California History-Social Science Project’s Fresno and San Diego sites, and reviewed professional development programs for the State of California. I’ve also taught Native American studies at Palomar College, San Diego State University, and Stanford University. I have a bachelor’s degree in Physics from Cornell University and graduate degrees in History, Environmental Studies, and Sustainability Education from Prescott College. I wrote my master’s thesis on the environmental history and restoration of San Felipe Valley (a valley in the homelands of Iipay people in San Diego County), and my doctoral dissertation (PDF) on stories of the North Fork Mono Tribe in central California.